UPDATE: T-Mobile will begin selling Apple’s new iPad on March 30. It’ll be available in stores and online. ORIGINAL: Apple today introduced an updated iPad, and it’s coming to T-Mobile. 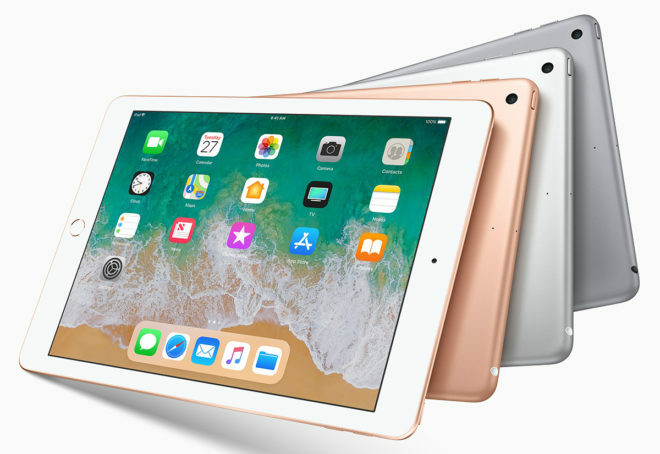 The updated iPad features a 9.7-inch 2048×1536 display and an A10 Fusion processor which offers improved CPU and graphics performance compared to last year’s iPad. 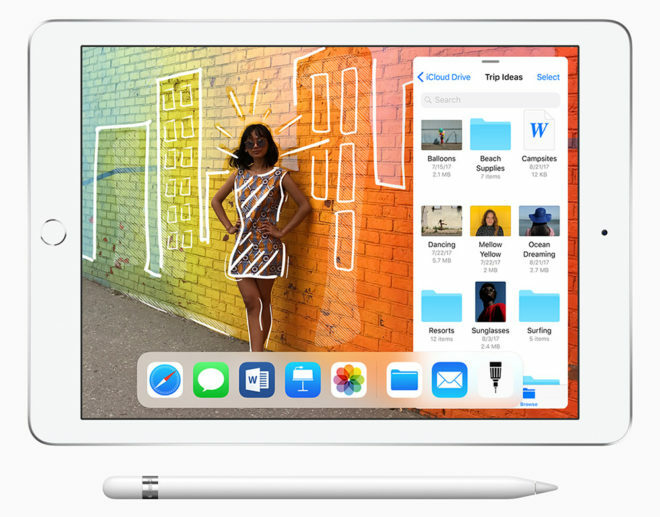 Another notable upgrade of this iPad is support for the Apple Pencil, which previously only worked with iPad Pro models. Apple’s new iPad also includes an 8-megapixel rear camera, FaceTime HD front camera, and a Touch ID fingerprint reader. Apple says that this iPad can get up to 10 hours of battery life on a single charge. The new iPad will cost $329 for the 32GB Wi-Fi-only model, or $299 for schools, while the 128GB Wi-Fi model will cost $429. A Wi-Fi + Cellular model will cost $459 for the 32GB model and $559 for the 128GB version. The Apple Pencil costs $99. According to Apple, the cellular version of the new iPad comes with support for LTE bands 1, 2, 3, 4, 5, 7, 8, 12, 13, 17, 18, 19, 20, 25, 26, 27, 28, 29, 30, 38, 39, 40, and 41. T-Mobile CEO John Legere has confirmed that T-Mo will sell Apple’s new iPad, but didn’t have any launch details to share. T-Mobile sold Apple’s previous iPad for $27.99 down and $18 per month for 24 months or $459.99 full retail, and it wouldn’t be a surprise to see this new iPad come in with similar pricing. I’ve reached out to T-Mo to confirm its launch plans for the new iPad and will update this post when I learn more. No its for everyone.. There is just an extra student discount that knocks 30 bucks off the base model. i think if you want a really tablet that runs android that runs on either AT&T or verizon, then i guess you’re stuck with amazon’s hd tablet that came out, like what 6 years ago? microsoft made a cellular enabled AT&T one like what, 4 years ago? it was locked to AT&T ? like the surface gen one? i forget. my dell had a cellular option like what 7 years ago? LTE Surface would great,wish they would come with one lock or unlock.